I am so excited to be joining Classroom Freebies Too! For years I have found such wonderful resources here and now I get to contribute too! I created this holiday tree to use in my math class. 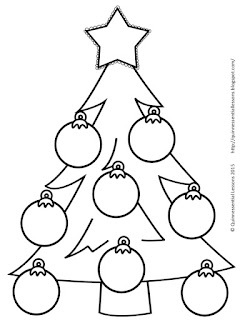 The idea is to put a number in the star and the students create equations, expressions, or equivalent numbers in the ornaments. This is how I am using it this year. We are currently learning to add and subtract decimals. The decimal goes in the star and the students create addition and subtraction problems that equal the original decimal. You could also use this in ELA. You could have the students put an overused word in the star, such as said. The students could fill in the bulbs with better choices like whispered, yelled, and cried. The possibilities are endless. Click on the pictures above to be taken to my blog post where you can download this freebie.